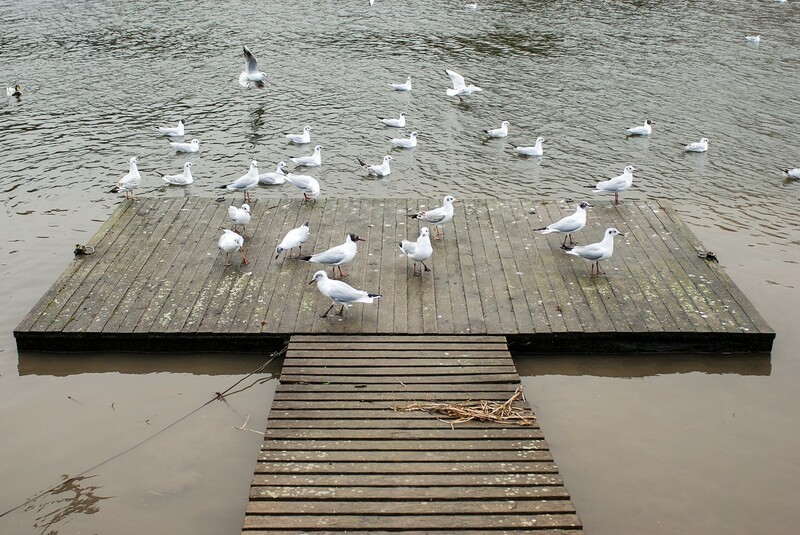 Every winter seagulls come to my local lake and they seem to like my dock. They leave bird poo all over everything and its a huge problem. There is lots of rocks and other areas where they go too so we have plenty of space for them to be happy. So why don’t they go where the others are and leave my dock alone? I’ve been using my water hose and fire crackers to scare them off but I don’t live on the dock so they must come back when we leave. 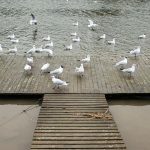 Once a dock or pier gets marked or identified as a good place to roost, overwintering birds like seagulls will keep coming back. There are a range of repellents like SCARE BALLOONS or BIRD SPIKES that can be set up on the dock they would avoid. But it would require a lot of coverage and make the dock hard to use for everyone else. The easy solution is to set up our SOUND REPELLER. This device can be powered by electricity or batteries and sends out a harmless ultra sound seagulls do not like. We’ve helped people use it for a range of nuisance birds like ducks on a dock, geese in the yard or starlings hanging out in the yard. Sound Repellers are small and require very little power to keep them running. They are directional so you will need to direct their sound out over the area needing protection. Each unit can protect up to 5,000 sq/ft and has an effective reach up to 100 feet away. If you have access to a power outlet, you can power them with their included power supply and run them all day, all night or all the time. That setting is up to your needs. 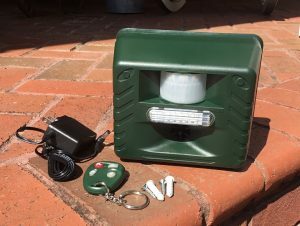 Typically seagulls forage for food during the day so if your birds only show up at night, you can set the unit to be on when its dark only. When powering the unit with the included power supply, you only need to keep the ultra sound setting to “constant” and it will keep them away. When configured this way, the seagulls will hear the sound from 100 feet away and stay clear of the dock. If you need to rely on batteries for power, you’ll have to set it to the “motion detector” sensor activation. This means when the birds come within 30 feet of the device, the sensor will detect the motion and turn on. Using it this way is just as effective but if you set it up this way, we suggest you also turn up the audible sound to 20-40 decibels. This is very much an audible sound but it effectively adds to the “scare” factor which helps keeps them away. These devices are small, about the size of a cigar box, and also use a flashing light bar to spook nuisance animals. And there is an included remote control wireless key so you can turn units on/off as needed.